Beef kofta curry is a spicy Indian curry (some also say Pakistani), that consists of minced beef meatballs and a ton of spices. If you like your curries with maximum amount of flavour and a bit of a kick, then this easy beef kofta recipe is definitely for you. Think of this curry as Indian comfort food! Typically, one uses beef meatballs but it’s not uncommon to use lamb mince or mutton mince as well. If you enjoy a hearty and meaty Indian style curry, then I encourage you to give this beef kofta curry a go. It’s very simple and it will give you a chance to play around with Indian spicing. If you feel like making a similar curry, you can also try this lamb bhuna. Pair with traditional Indian sides like naans, rotis or white rice. Adjust the level of spice to your liking! If you are looking to improve your Indian cooking skills, then learning how to make this beef kofta curry will certainly do the trick. Beef kofta curry is a very common dish in the Middle East as well as in Southern and Central Asian cuisine. ‘Kofta’ originates from the Persian word ‘koftah’ which means pounded meat. Simply put, they are balls of ground meat, which usually consist of beef, pork, lamb or chicken. So, depending on the region, you can create your own version of beef kofta. In essence, whatever it’s name, you won’t find a country that doesn’t include some sort of meatball recipe. In the Middle East, a beef kofta curry comprises lamb or mutton. For some, these flavours can be too bold. In the Balkan region, pork and beef are used. By the way, don’t confuse koftas with kebabs or souvlakis from the region. Kofta are solely minced meat meatballs with lots of spice. You can pair them with almost any type of curry sauce, so if you’ve made a large batch feel free to freeze them and reuse. Also, feel free to put your own spin on this recipe and experiment with your favourite spices. I hope these substitute will help you get through cooking this amazing beef kofta curry! As always, I love to take inspiration from great chefs. That’s why I looked up Jamie Oliver’s beef kofta recipe. Jamie calls for using premium beef mince or beef mince of very high quality. I couldn’t agree more! Naturally, you can also use inexpensive beef mince, but expect it to be more fatty. The premium beef mince usually has a higher meat content and thus is much juicier as well as heartier. You can find Jamie Oliver’s version of the beef kofta curry here. Yes, you can also consider poultry as a substitute for this beef kofta curry recipe. Of course, it won’t have that natural rich flavour from the beef mince, but chicken will do just fine! Cut them into even and sizeable pieces to resonante the shape and size of the kofta balls. Remember, the more even they are, the easier they will be to cook. This way, you won’t have to check each piece of chicken, as they will all cook the same. What I love about Indian dishes is that you can make most of them suitable to your dietary needs. For example, if you are a vegetarian, you can just substitute the meat element with vegetables. Just to give you an example, take korma curry! Usually, you’ll find prawn korma or chicken korma on the menu. However, it’s totally possible to substitute with vegetables and enjoy a crunchy vegetable korma. However you can use more vegetables like swedes, turnips, etc. The sky is the limit. On top of that, for a lighter alternative to a meaty beef kofta curry, try making this vegetarian-friendly beetroot curry. You can also try this Indian beetroot poriyal which is quite similar. These two beetroot-based dishes are an excellent alternative for those on a vegetarian or vegan diet. In addition, these meals are packed with nutrients and will keep you slim all year if you eat these types of Indian dishes for dinner. Trust me on that! You might think that this is impossible but it’s not. In fact, I love to use paneer (Indian cheese) in curries. It falls apart very nicely once you bite into it. So, feel free to experiment and substitute with a pack of paneer. If you’ve got leftovers, make malai paneer or better yet, paneer korma. If you can’t get your hands on paneer, then I highly recommend substituting the koftas with tofu. In essence, tofu is a good substitute for paneer. However, don’t substitute with smoked tofu. Plain soft tofu is the best in this case. So, which side will you chose to complement your beef kofta curry? Will it be the lighter one or a more filling one? If you have a different side dish in mind, please do share in the comments below! I hope you enjoy making this traditional Indian / Pakistani dish! Heat the oil in a large saucepan and fry the onion and garlic until softened and lightly browned. Add the ground coriander, cumin, turmeric, masala, pepper, ginger and chillies and cook for 5 minutes. Scrape half the mixture into a bowl and add the minced beef and fresh coriander. Mix well. When cool enough to handle, shape the koftas into walnut-sized balls. Set aside. Add the tomato puree, stock and coconut milk to the remaining mixture in the pan. Bruise the cloves, cinnamon and cardamom pods and add to the curry. Bring to the boil then add the meatballs. Simmer gently for 45 minutes, stirring occasionally, until the sauce is well reduced and thickened. Divide between 4 plates and garnish with fresh coriander sprigs. Serve with steamed basmati rice and chopped fresh coriander. As tempting as it may be, refrain from adding salt to the curry. The stock and spices make it plenty flavourful. If you like your curry on the mild side, adjust the quantity of chilli used. No egg is needed to bind the meat. Hi! I added 400g coconut milk as per the recipe, but the colour came out orange, and it looks very different from the picture. Did I add too much? I made these and they are absolutely divine! Thanks so much for sharing the recipe. 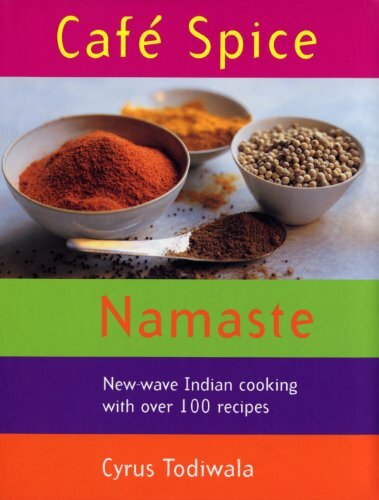 I love the Curry Guy recipe book.